Looking for a way to add some magic to the evening part of your wedding day and capture some super fun pictures at the same time? Look no further, Sparklers can do just that!! The ideal time to break out the sparklers are when it's dark outside. In the Winter time this will happen much earlier than during the Summer. Quite often there may not be many photo opportunities between the end of your meal and the first dance because hotel staff may be turning the room over to get it ready for dancing. Every venue is different and some may have a seperate room for dancing or the dancing may even take place outdoors. For most weddings, this time of the day, between the end of the meal and the start of the dancing will be the most ideal time to get your sparkler shots. There are a number of ways you can use sparklers. 1. If your first dance is outdoors you can hand them out to guests as they surround the dancefloor and it is a really nice way to involve them in your first dance. 2. If you are leaving your wedding to go straight on honeymoon then you can do the traditional "sparkler exit". 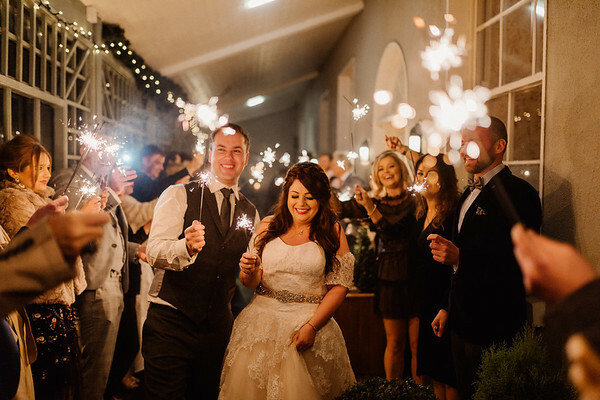 Your guests would create a path with just enough space for you to walk through and they would basically wave you both off with the sparklers. 3. Even if you are not leaving to go on honeymoon straight away you can still do a type of "sparkler exit", just the same as above but you obviously just don't leave straight after. 4. Similar to the first dance option you can have your guests create a ring around you both and you can share a little cuddle, dance &/or kiss in the middle. Tips to get the most out of your sparkler shots. 1. Get long burning sparklers. If you get sparklers just because they're cheap then they may not last long enough to get the shots you want. Remember that your guests will need to get them all lighting around the same time, if guests are having trouble with their sparklers then ones already lit may end up burning out too soon. To save you any trouble here I have included some links below for sparklers that are ideal and should burn for approximately 90 seconds which is plenty time even if guests have trouble lighting a few. 2. Be sure to also get enough lighters to light the sparklers. One lighter should be enough to light 2, maybe 3, sparklers at a time. A lot less people smoke these days and so lighters may not be all too easy to find during your wedding day. I'd recommend buying disposable lighters before the day and hand them out with the sparklers. I've also included a link below for a batch of cheap lighters that will do the job no matter how many sparklers you have. 3. Speak to your photographer about the sparkler shots before the day to plan out the best time and location for them, every venue will be different but your photographer will be able to advise you on the best approach. 4. Remember that the sparklers will be providing the light for these pictures so more sparklers is always better, some people can hold 2. 5. 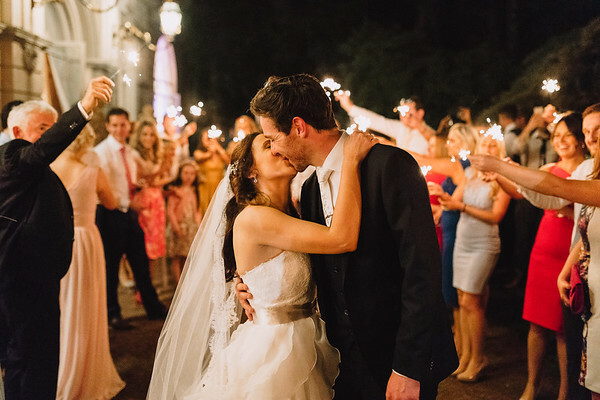 Guests should light sparklers around the same time to get the most out of them, it's not much use if some are burning out before others are even lighting. 6. Hold the sparkler at the end with the thin wire. Hold it away from your body and point it down to get it lighting safely. 7. Once the sparklers are all lighting, hold them away from the body still and be careful with them as they could potentially cause a fire. Wave them in small circles and away from other guests. 8. Walk through the path created by your guests and have fun with it. Don't be afraid to stop for a cuddle and kiss as you move through the path. 9. It's a good idea to have a small bucket of water on hand to place the used sparklers to cool down before they're placed in the bin, and it's also useful in the event of a small fire. I've put together a list of sparklers below that would all be suitable, long lasting and reasonably priced. Just click on the number of sparklers you need/want and you can order them through the link. Don't forget that your guests will also need to be able to light the sparklers, more people are quitting smoking so don't rely on your guests to be able to provide the amount of lighters you may need. Here's a link to the cheapest bulk lighters I could find. These should be sufficient regardless of the amount of sparklers you have.